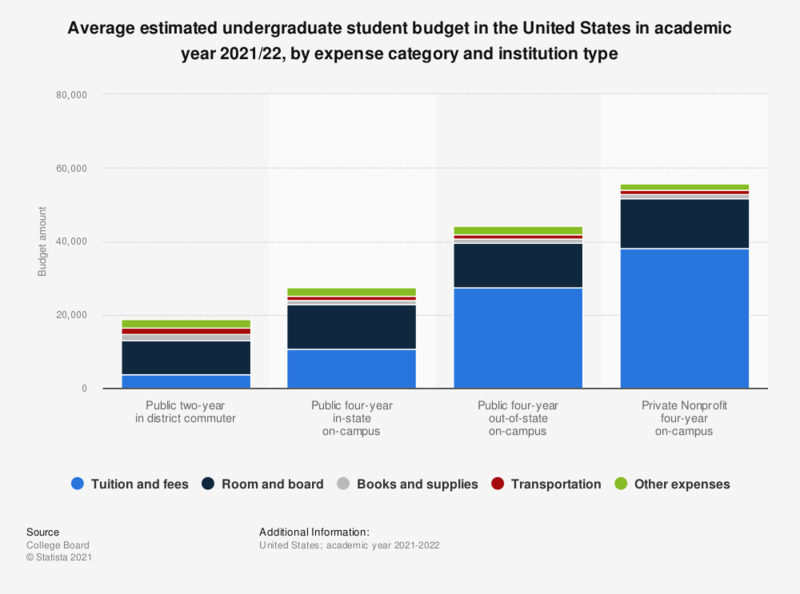 This statistic shows the average estimated undergraduate student budget required for different expense categories at different types of universities in the United States in the school year 2018/19. In a public two-year institution for commuters, the total undergraduate budget is 17,930 U.S. dollars, including 3,660 U.S. dollars for tuition and fees. Expense categories are based on institutional budgets for students as reported by colleges and universities in the Annual Survey of Colleges. Other expense categories are the average amounts allotted in determining total cost of attendance and do not necessarily reflect actual student expenditures.